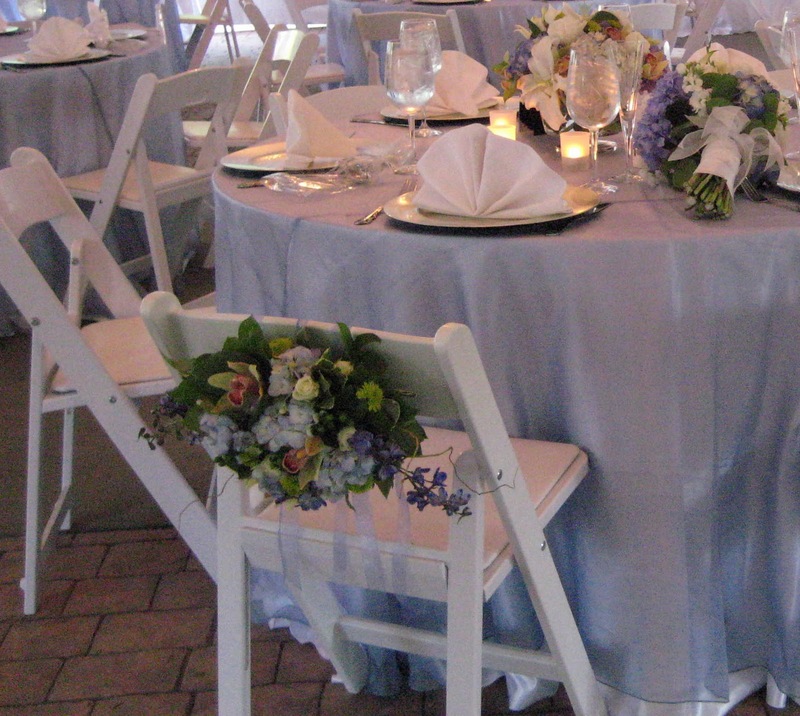 You can decorate all the chairs at a ceremony, or just the aisle chairs, or at a dinner the Bride's and Groom's chairs. 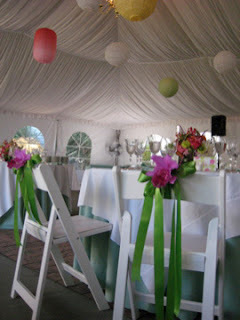 Ribbon, sashes, flowers can all be used. 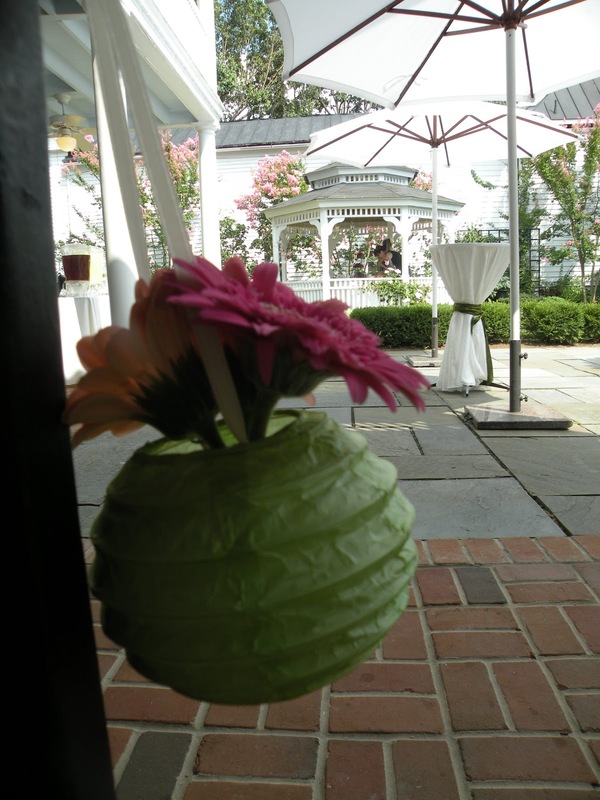 These photos are from weddings at the Thomas Birkby House and WoWS. 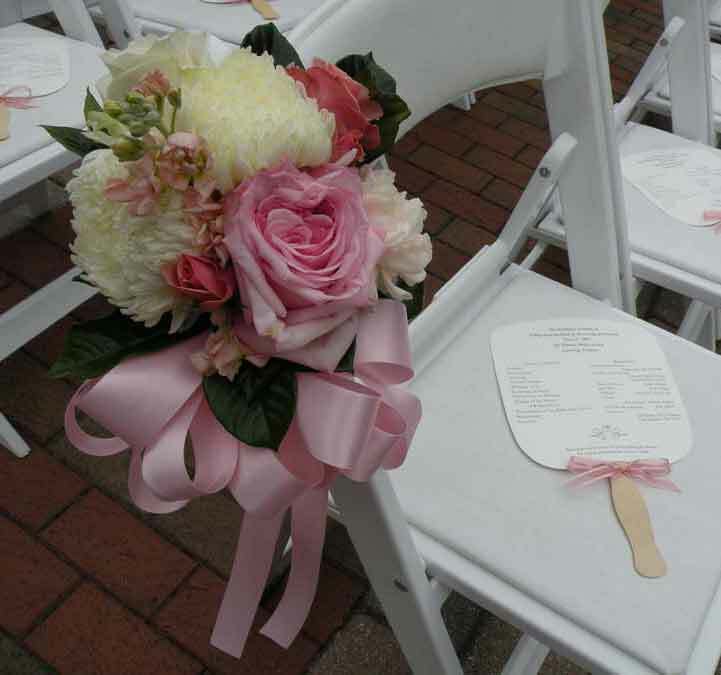 For other suggestions search wedding ceremony chair decorations on the internew or ask your DOC, wedding planner or florist. Lovely pictures! 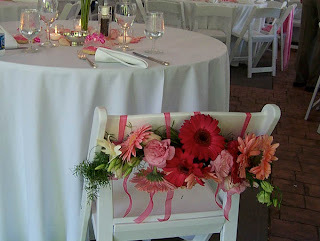 Just loved these beautiful chair decorations. 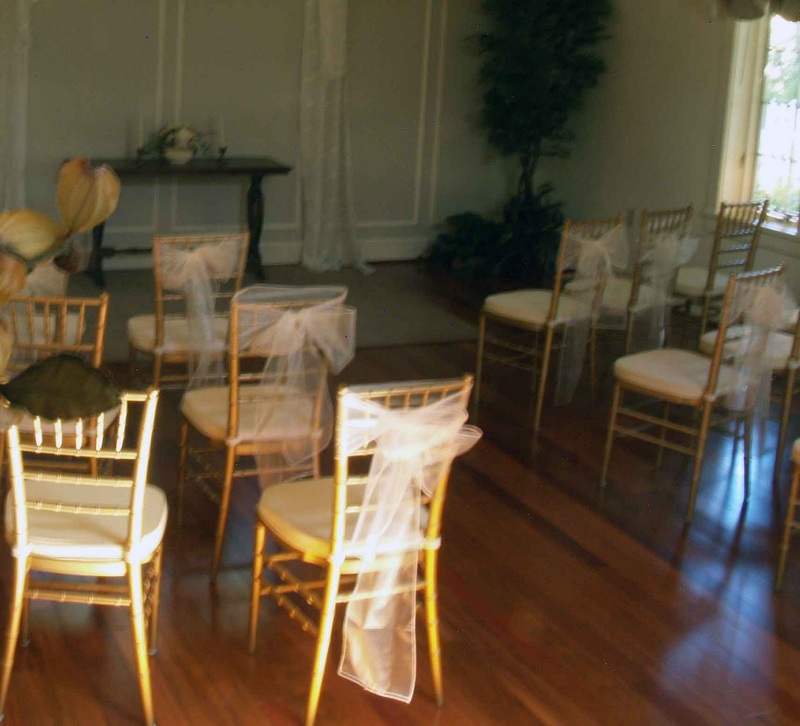 Will discuss this idea with my wedding planners for my wedding party at one of local Chicago event space. 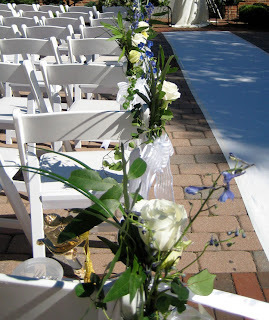 Will use this idea as I loved it and want to make the place beautiful.